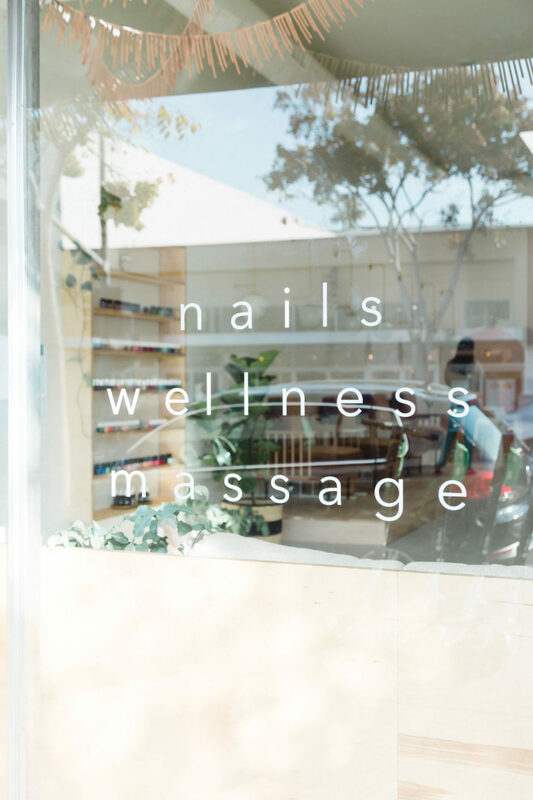 Nail salons may have you conjuring up visions of Patrick Nagel art and fake plants but not Leo. 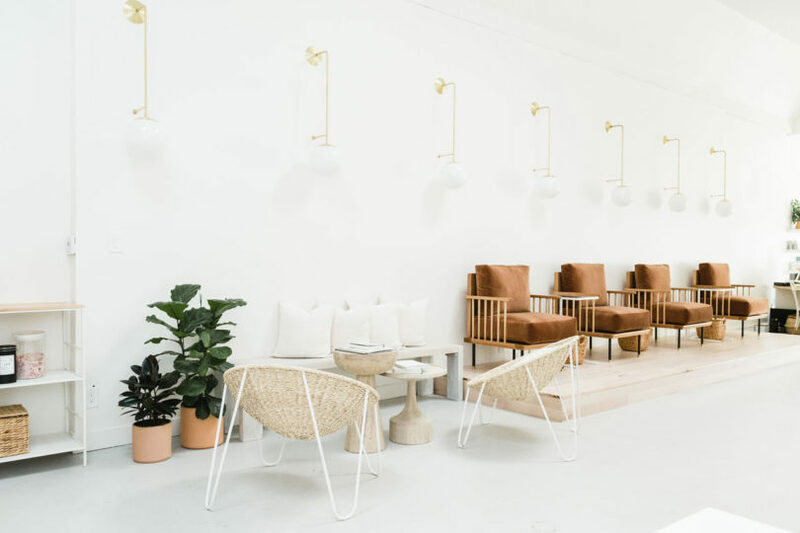 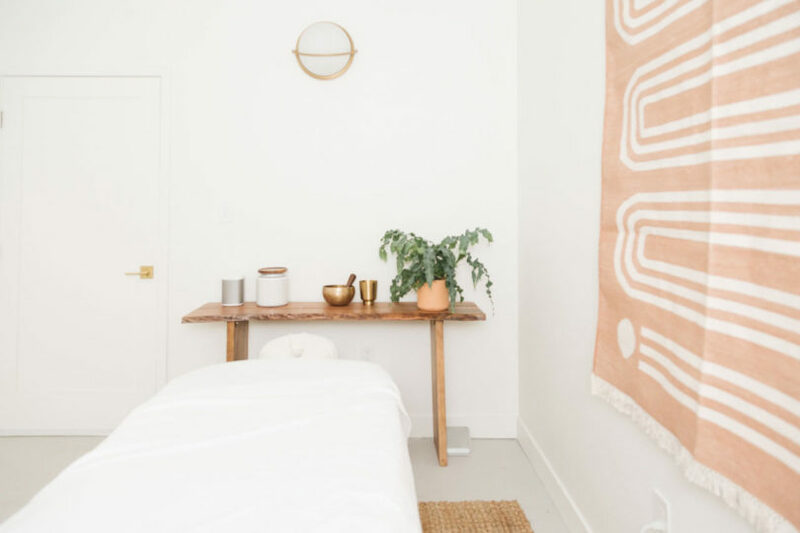 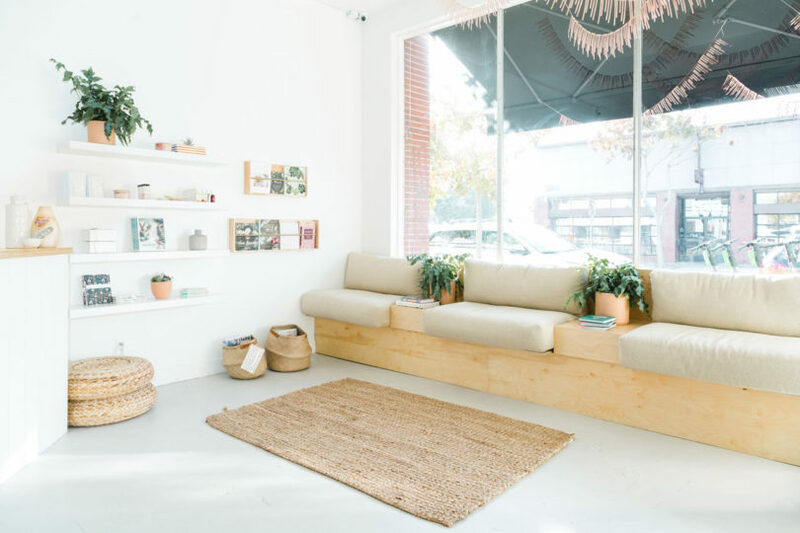 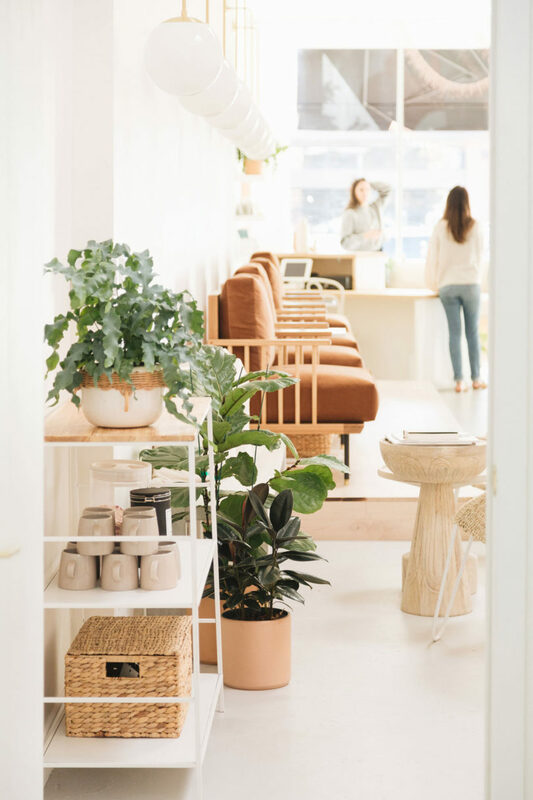 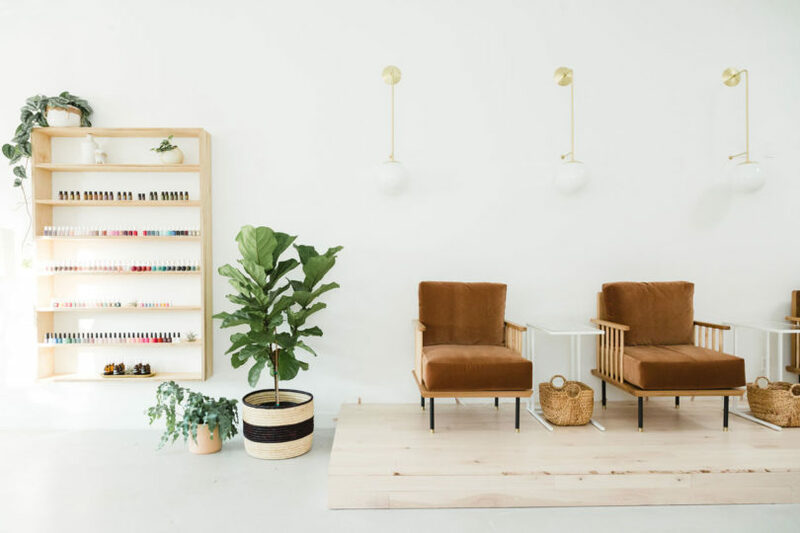 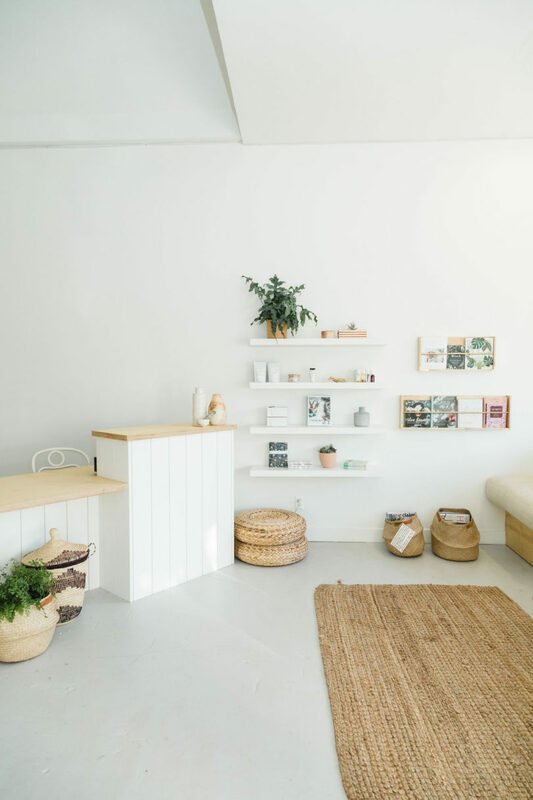 The San Diego, California salon was designed by Solstice Interiors with a modern interior that evokes a soothing energy. 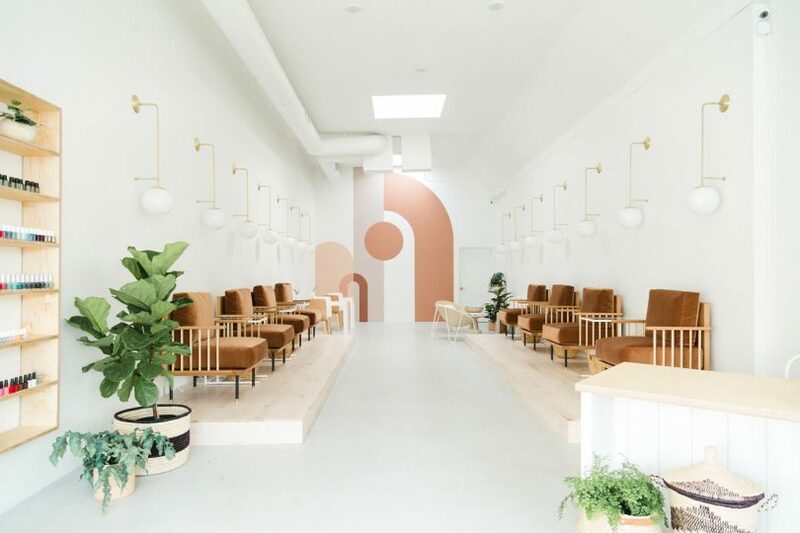 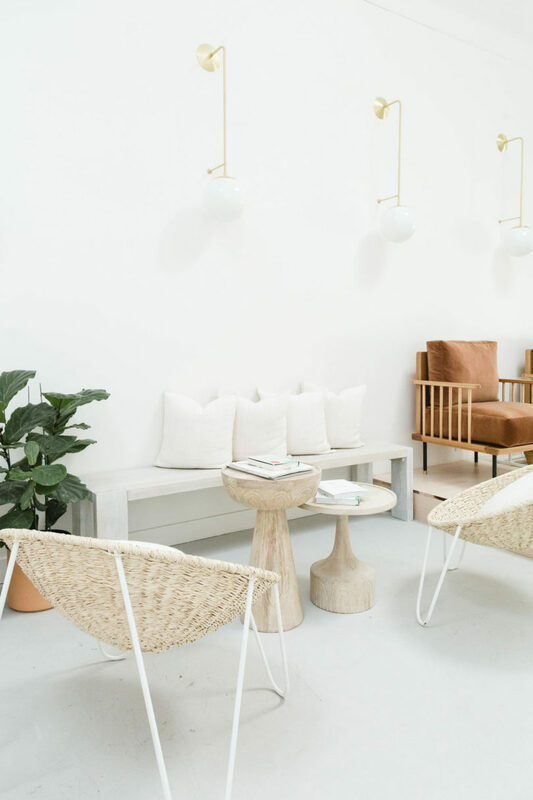 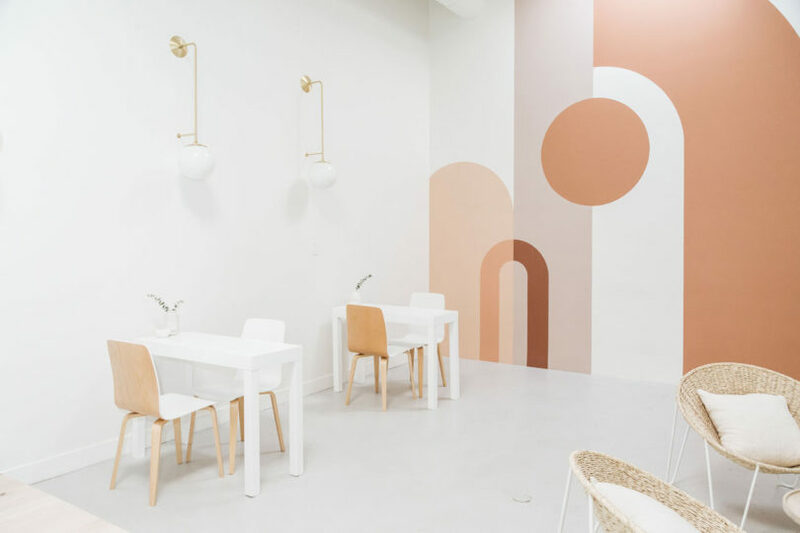 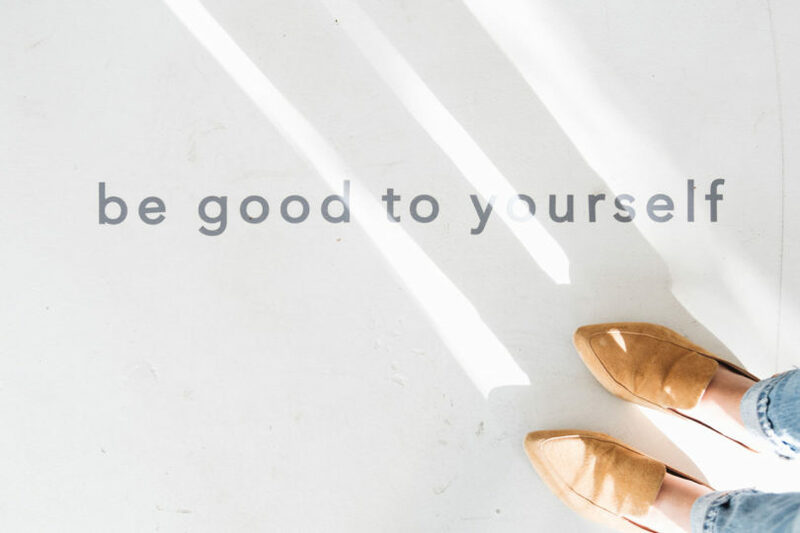 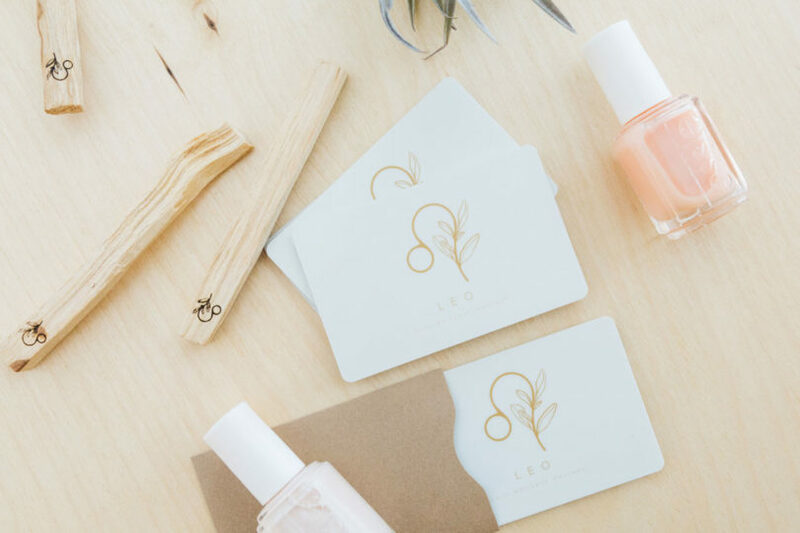 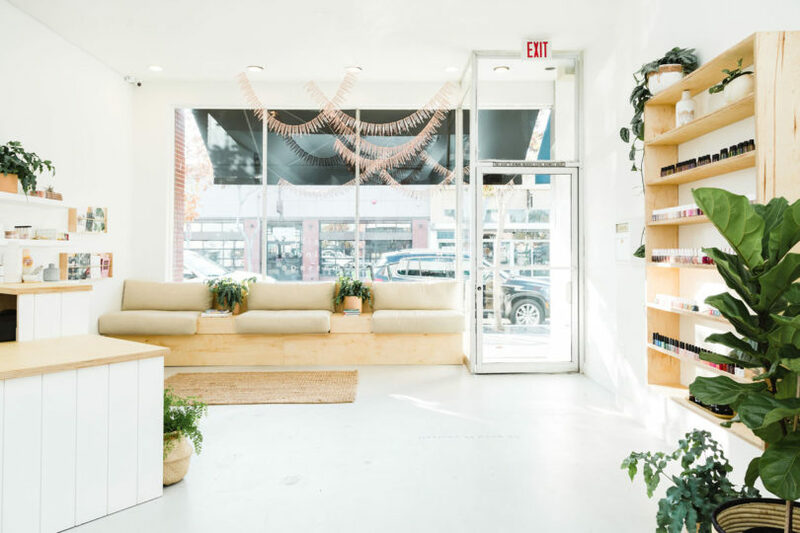 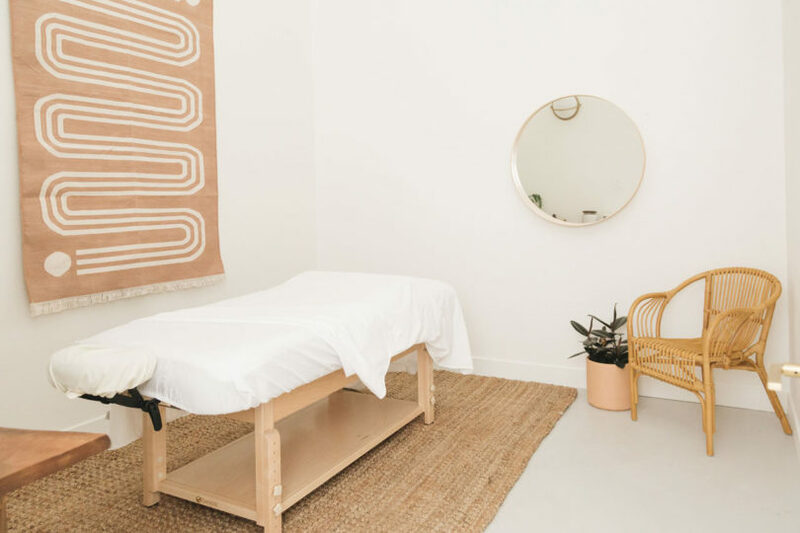 The design focuses on self-care and health, while still managing an interior that’s perfect for Instagram. 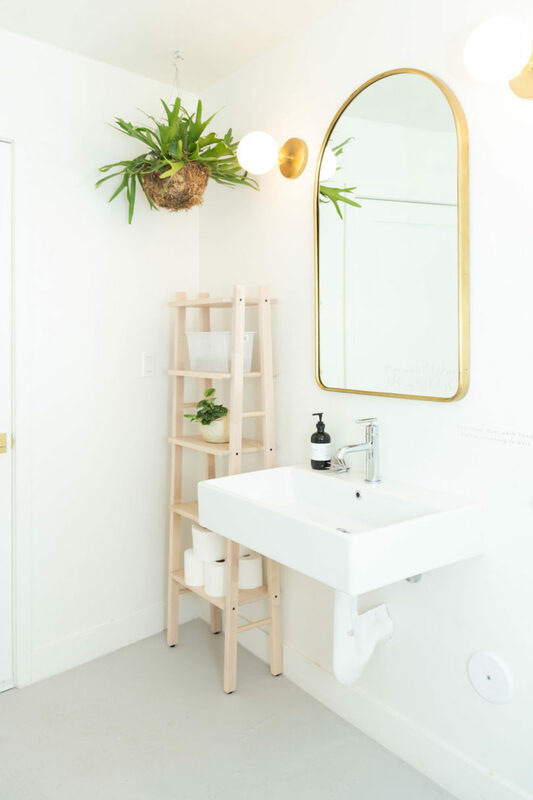 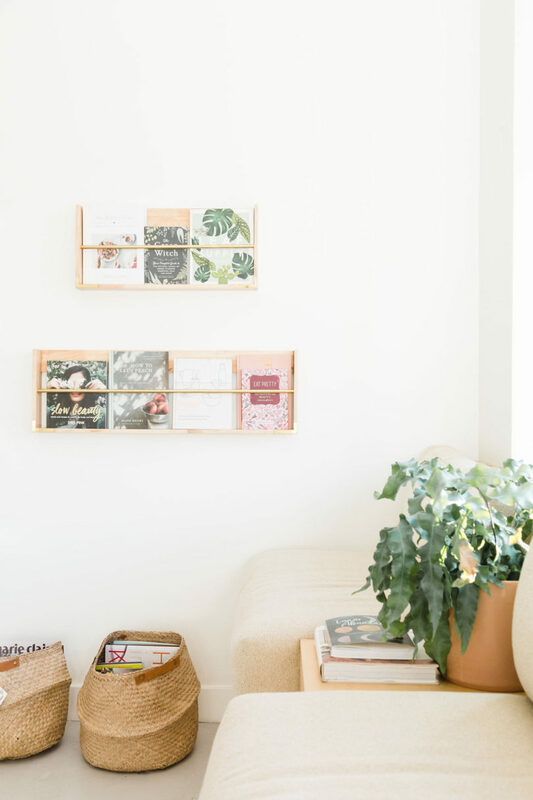 White walls are paired with unfinished wood components, green plants, and earth tones. 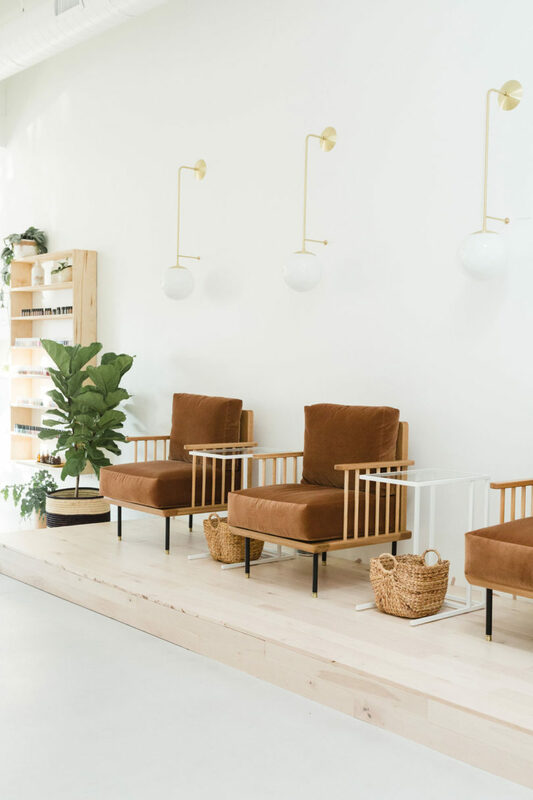 The client chairs, by Moniker Design, have wooden frames with rich brown velvety cushions for comfortable pedicures and treatments. 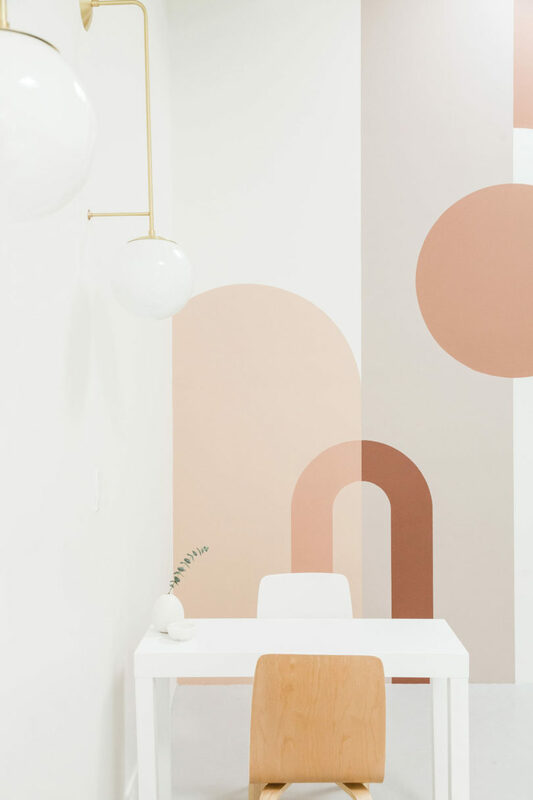 An abstract mural by Janie Rochfort of Betty Larkin is painted on the back wall drawing the eye through the length of the salon. 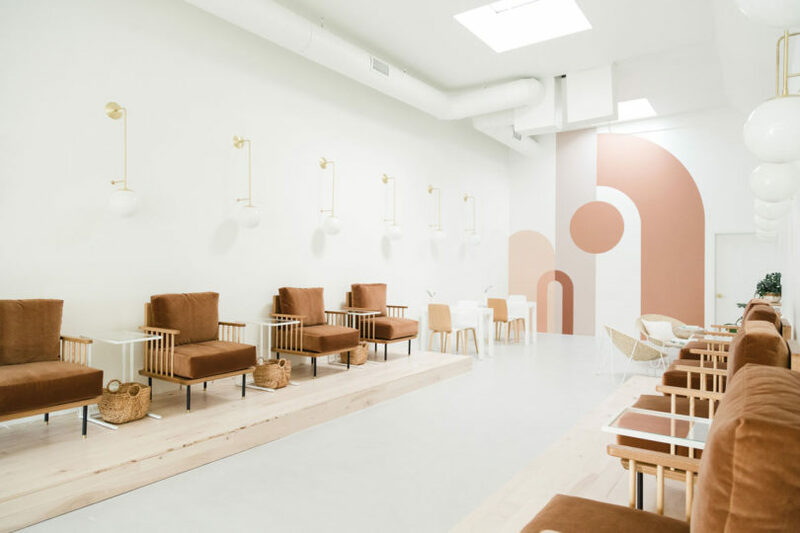 Simple white tables and two-tone white/wood chairs are incorporated for manicures. 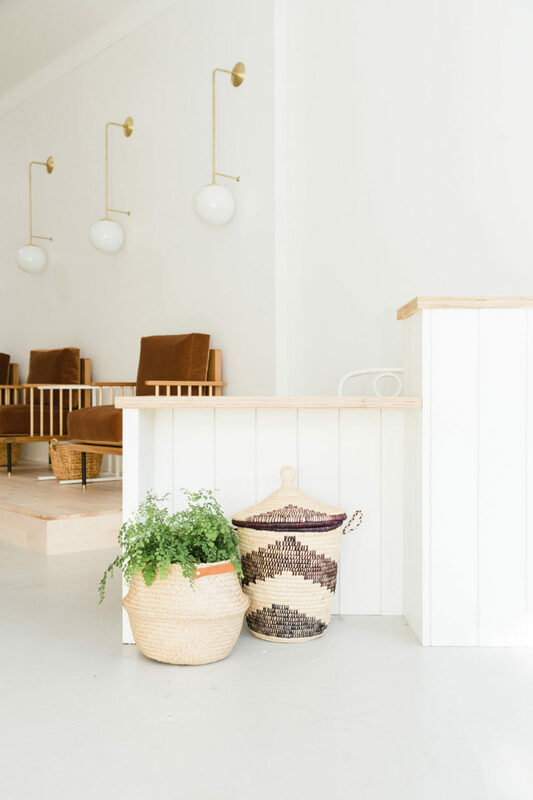 Accessories with various textures, like the woven rug and baskets, add a cozy, home-like feel. 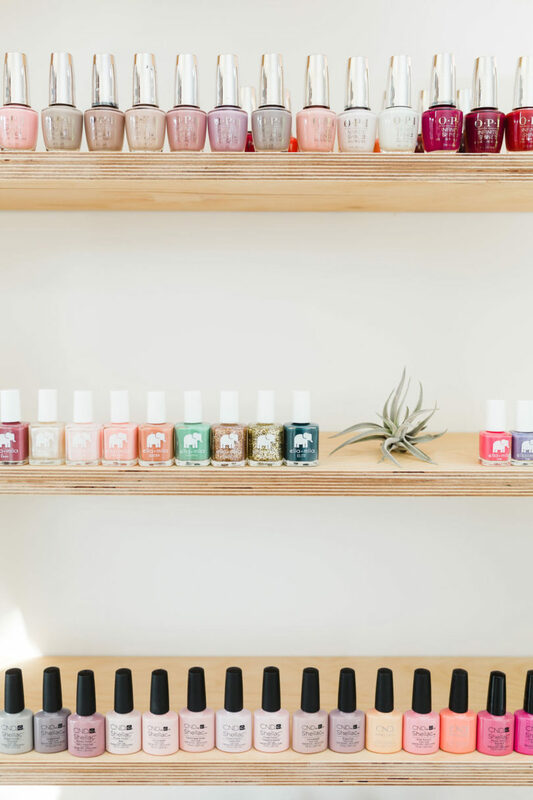 Photos by Amber Thrane of Dulcet Creative.